SUPERMARKET shoppers will win on price and may lose on choice as Coles moves to increase its private label penetration to 40 per cent, a plan that threatens to undermine local manufacturers, experts say. 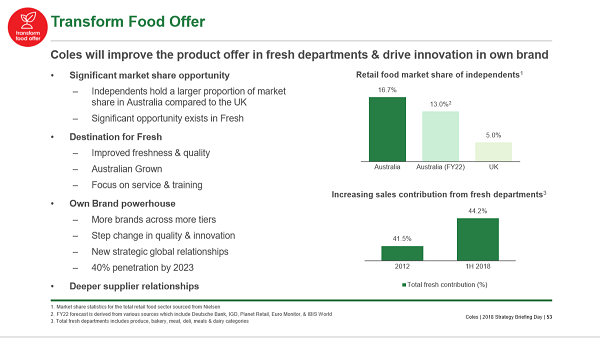 Coles boss John Durkan in his recent 2018 strategy briefing stated the aim of “40 per cent penetration by 2023”. Retail expert, Associate Professor Gary Mortimer from the QUT Business School said the proportion in Australia of supermarket private label product sits around 25 to 27 per cent yet in the UK it is closer to 35 per cent, while in Spain and Germany it is almost 50 per cent. “I would expect prices overall to fall, as Coles will not be paying suppliers and manufacturers, instead delivering their own products to the market through contract manufacturers,” Prof Mortimer told Australian Food News. “Shoppers should not worry about their favourite brands vanishing off the shelves anytime soon, as major brands like Cadbury, Coke, Nescafe, Kellogg’s will always remain. “Certain categories, like healthcare, skincare, pharmaceuticals, even infant formula will be less exposed to the penetration of private labels, as shoppers look to brands to signal quality. Prof Mortimer said supermarkets had invested millions of dollars improving the quality of private label products, so shoppers will not be disadvantaged. “The loss though of fringe brands may present an opportunity for smaller grocers, like IGA, to re-position themselves away from ‘convenience’ and more towards a ‘retailers of local exclusive food brands’,” he said. 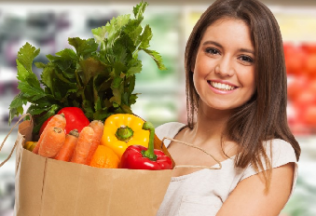 The Australian Food and Grocery Council, representing the nation’s $127.4 billion food and grocery processing sector, though sounded a warning about the move by Coles. CEO Tanya Barden said consumers will lose choice with a shrinking range. “We have to remember it is an incredibly competitive retail market, so if consumers who find their favourite products have disappeared from the supermarket shelves at one supermarket can vote with their feet and walk over the road or look online to get what they are looking for,” Ms Barden told Australian Food News. She said Australian-branded manufacturers currently use spare capacity to manufacture private label products for supermarkets.